Unexpected problems with your home’s heating and cooling system can happen—and usually at the most inconvenient time. At McAllister, we understand that not everyone has the money saved to pay for new installations or services up front, which is why we provide South Jersey residents with the option to finance their HVAC services with approved credit through Wells Fargo. 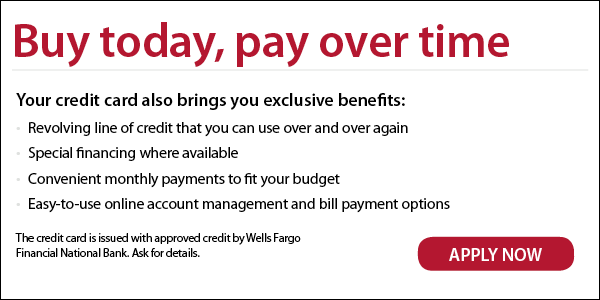 Click below to apply for Wells Fargo financing through our Somers Point location.